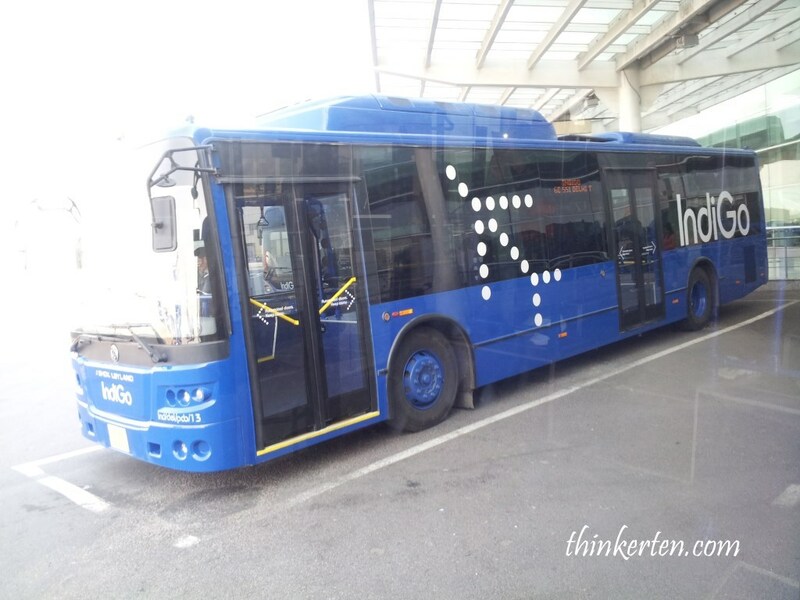 We arrived in New Delhi, then transit to Kashmir with domestic flight IndiGo, the Indian local airline. Jammu and Kashmir is the northern most state of India, this place is famous for the houseboat. 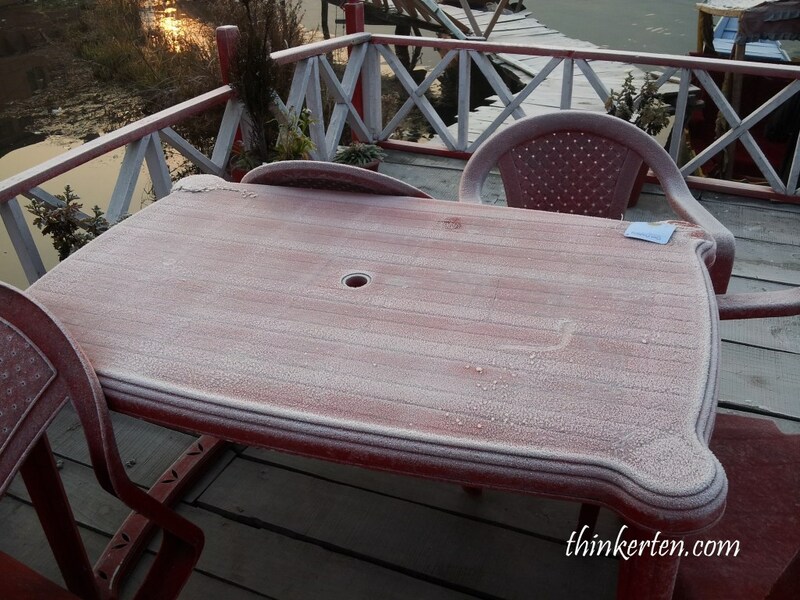 We stayed 2 nights in the houseboat in Dal Lake. I can’t wait and too eager to ride on the Shikara to cross over to the houseboat. Shikara ia a type of wooden boat found on Dal Lake, Kashmir. Shikaras are varied sizes and are used for multiple purposes, including transportation of people. There is a middle age Kashmiri man paddling at the rear of our shikara and it can sit up to maximum of 6 people. The colorful boat is the cultural symbol of Kashmir. 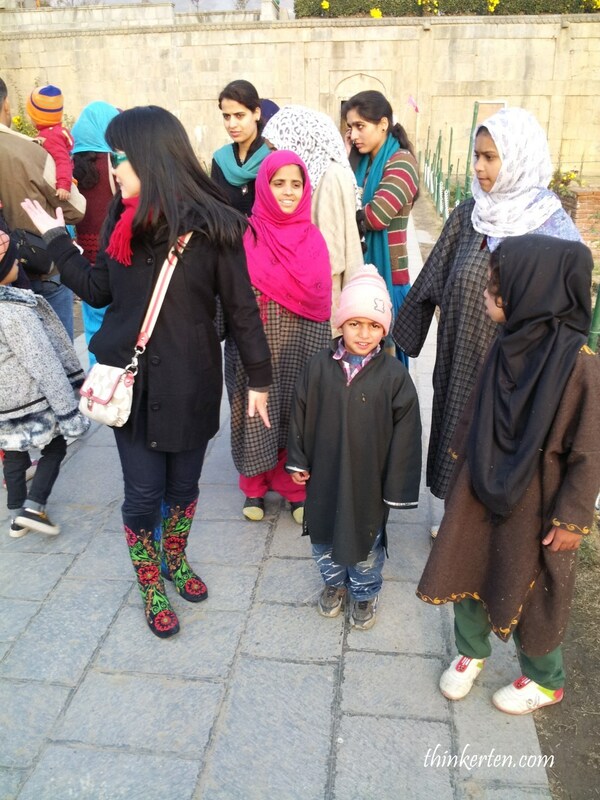 We were very excited when we arrived at the houseboat, a man dressed in some sort of uniform came to greet us and helped us with our luggages and brought us some Kashmiri tea. We called him “captain” of the houseboat. I learn that he was from Pakistan border. The captain also served us breakfast and dinner in the houseboat. 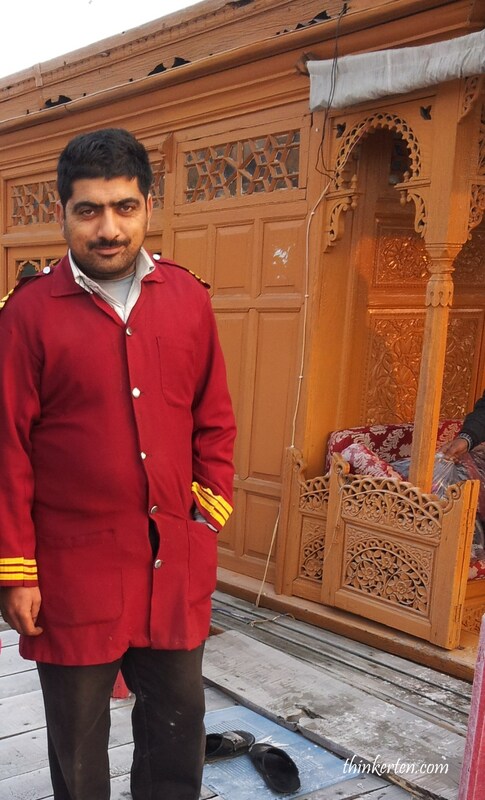 He served us Kashmiri Noon Chai tea, which is one of the most popular beverage in Kashmir. The taste is a bit salty because salt is added in the tea, plus milk. The main course was mainly beef, lamb or chicken cooked in curry or kebabs. There are 3 bedrooms in each houseboat, a dining room and a living room with very old chandeliers at the living room. 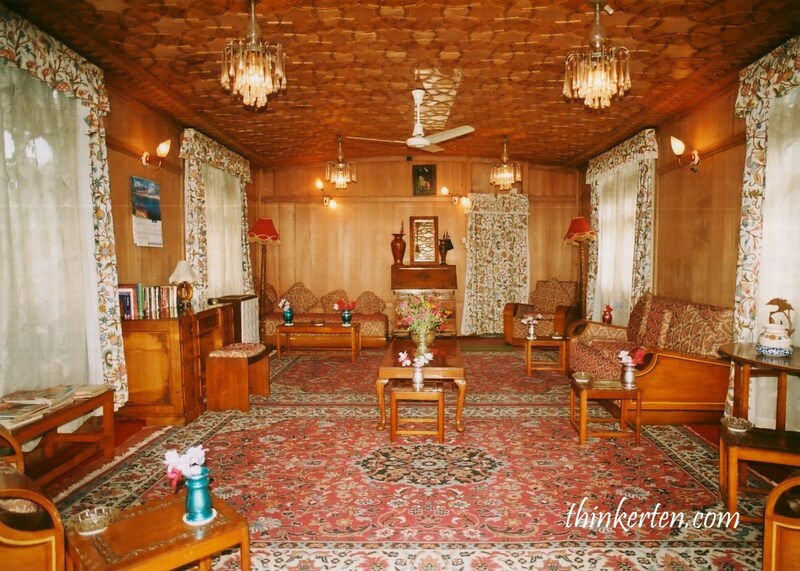 The whole place including the bedroom are decorated with Kashmiri carpets and colorful curtains. At first I found the place very unique with many interesting decoration but after few hours in the houseboat, I started to feel uneasy and in fact a bit dizzy, looking at these colorful surroundings. The ceiling and the carpet floor has too much colorful pattern which made my head spin! The facilities in the houseboat is pretty simple, there is water heater but it is not very reliable and the water pressure of the shower is very low. I didn’t wash my hair at all during my 2 days stay in the houseboat. 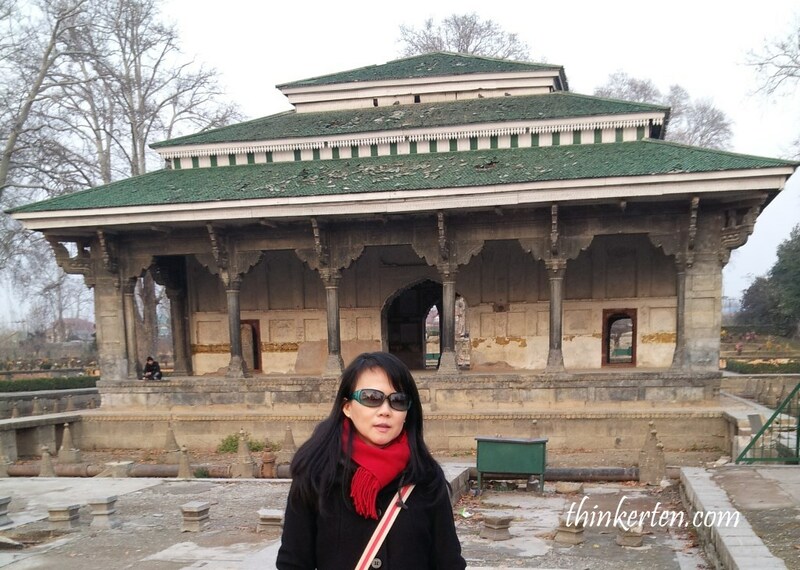 Before coming to Kashmir, I checked with my friend, Helen who has been here. She advised me to collect the water into a bucket, then boil some hot water and add the hot water into the bucket. Don’t shower from the shower head because you may scream in the middle of the shower when the hot water run off, especially in winter. I was really thankful to Helen’s advise because I heard some scream from the bathroom next door. Mysterious Dark Shadow in the room! Before I sleep, the captain came into the bedroom suddenly and add in charcoal for the old heater. He would come in again during midnight to top up the charcoal for the heater, just beware and don’t get panic if you see a dark shadow appeared in your room. Yes, is him, the bearded guy I took picture earlier. If I remember correctly, the door has no lock. He can come in anytime. There are also electric blankets available. The houseboat is quite cold because we are above the water. Early rise at the Houseboat to listen to Adhan prayers – Must Try! I heard the loud Muslim Adhan prayers coming from a nearby mosque. There are over 70% of Muslim staying in Kashmir, huge population. It was an unexplained feeling to listen to the Muslim prayers as the background sound, meanwhile looking afar were few Shikara boats paddling in Dal Lake, rushing to some places. Till now, I still have this wonderful scene in the my memory because the effect is awesome! If you happen to stay in houseboat in Dal Lake, try wake up early and stay at the veranda to wait for the sunrise and listen for the Adhan prayers. Trust me, the way the Kashmiri sing Adhan is different, their beautiful voice is trained I think, you feel very peaceful. Dal lake is also known as the “Jewel in the crown of Kashmir”, recently it has been used for tourism and recreation spot but there are still may locals living around the lake or in the houseboat doing daily activities such as fishing and water planting. The view around the Dal Lake is amazingly beautiful but the water look a bit scary and not very clean. 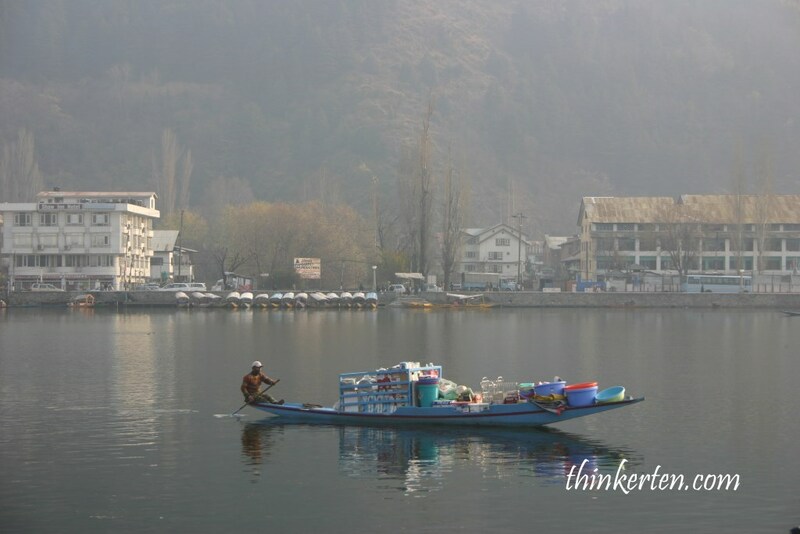 A Shikara carrying goods was seen in the Dal Lake early morning. We were approached by some seller, selling some artificial jewelry and small souvenirs. It is fascinating to see how young children in school uniform at the age of 8-10 could paddle so well in a small shikara boat, rushing to go to school. 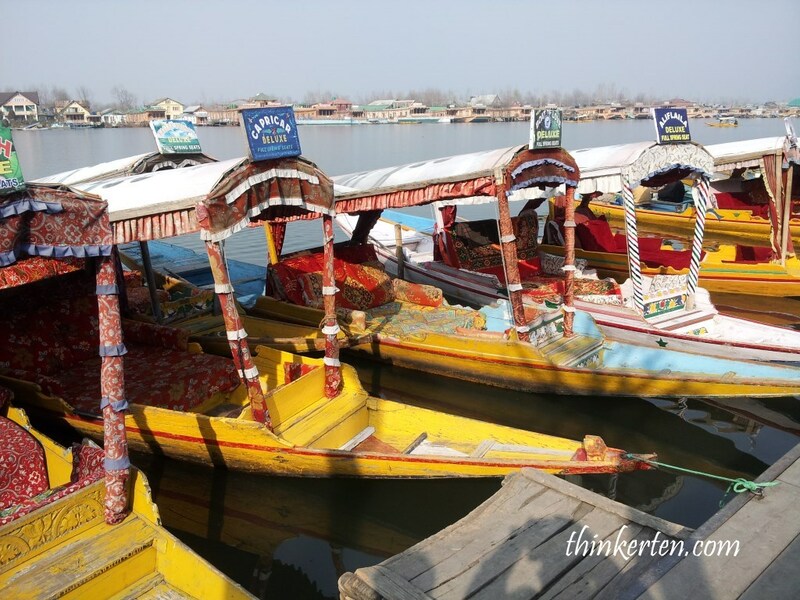 Shikara is a basic transport in Dal Lake. 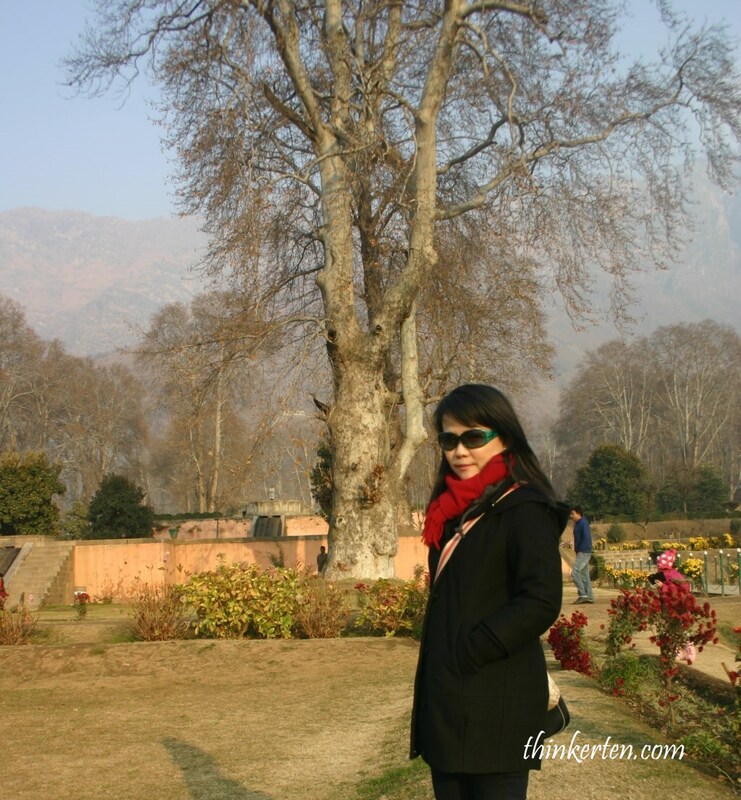 Mughal garden are a group of garden built by the Mughals in the Persian style of architecture. 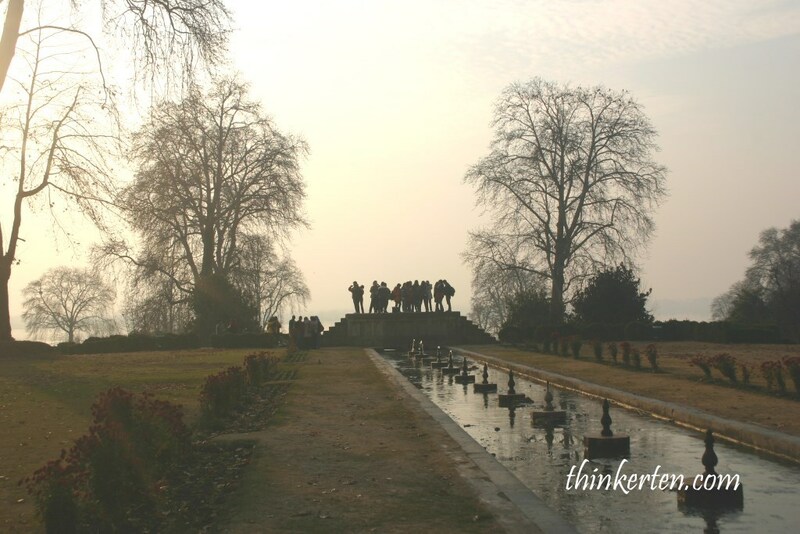 One of the famous world heritage is the Mughal Garden Shalimar in Kashmir. This is one of the ultimate gardening playground of the Mughal Emperors. Some of the typical features include pools, fountains and canals inside the gardens. This garden built on a flat land on a square plan with a central location as the water source. The fountain in the Mughal Garden Shalimar is well maintained and still working. The whole garden is pretty clean and serene. 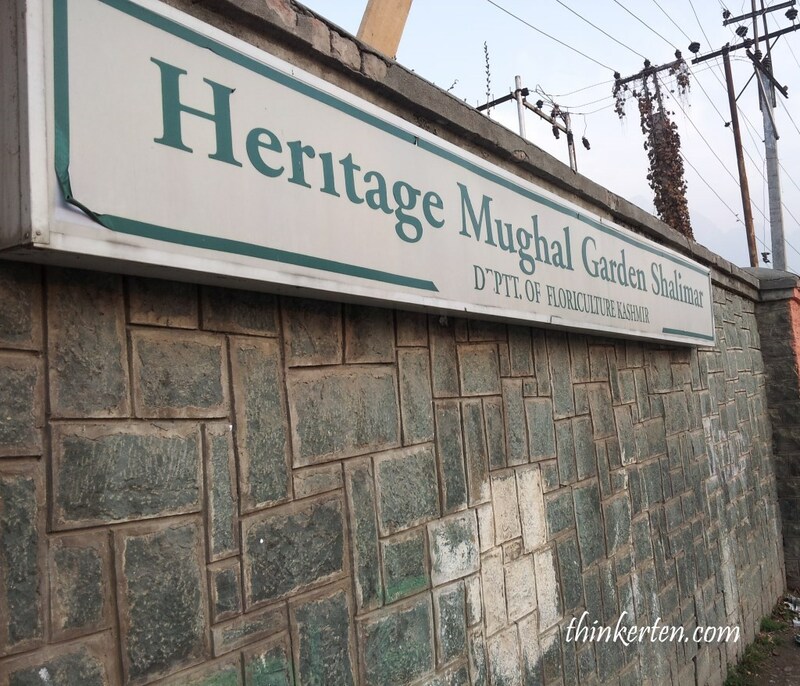 Mughal gardens design drives primarily from the medieval Islamic garden, although there are nomadic influences that come from the Mughals’ Turkish-Mongolian ancestry. The huge garden is surrounded by many mountains and thus make it even more attracting. I could spend hours walking around this place. 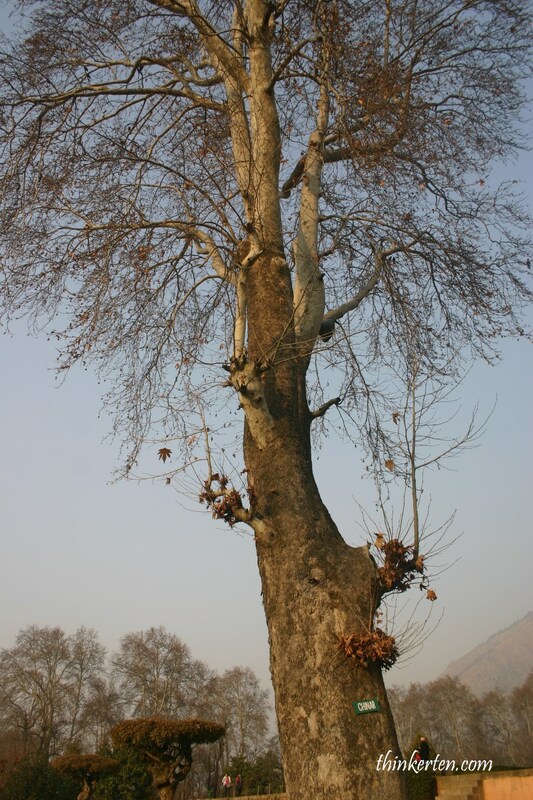 Those Mughals certainly built the garden on a huge scale, it has many gigantic Chinar trees which some lives for 400 years. There are labels on some trees showing the trees’ age. The pavilion built during the early part of fourth Mughal Emperor, Jahangir’s reign (1569-1627), in the top terrace of the Shalimar Garden. There is a very famous inscription in Persian, which translate as “If there is a paradise on earth, it is here, it is here, it is hear.” The Pavilion looks nothing special but is a place to hide if raining. Inside the pavilion, you can see the old ceiling still have the painting pattern of ancient time, quite Persian style I find. 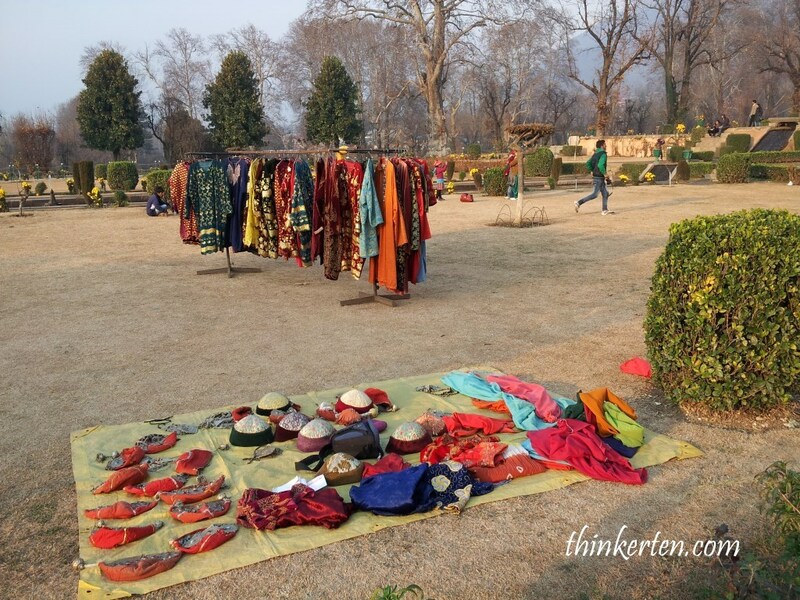 You can dress up in the traditional clothing called “phiran” and take photos in this Mughal Garden. The phiran is a loose upper garment loosely gathered at the sleeves which tend to be wide, similar to the styles worn in Afghanistan. 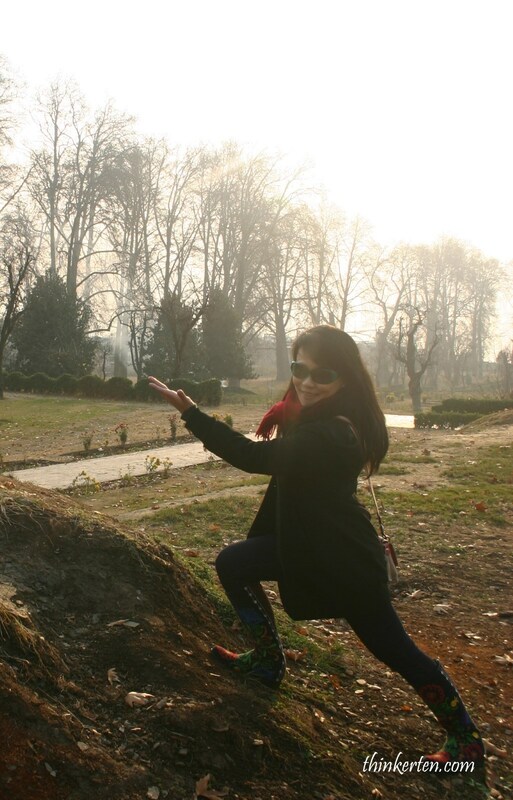 This garden not only attracting tourists around the world but also many local Kashmiri people. 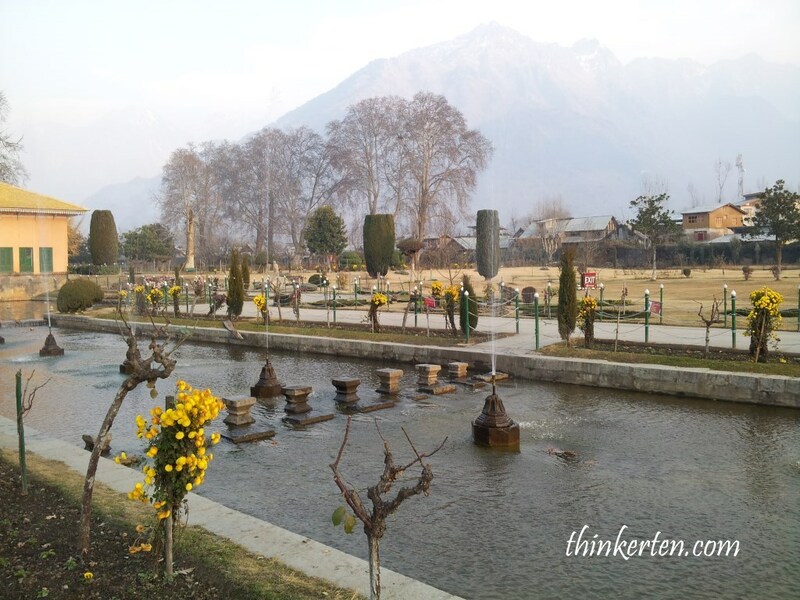 The garden is well maintained and continue to be one of the prominent visitor attractions around the Dal Lake. It is actually located not far from where we lived, the Dal Lake. Kashmir’s Pashmina shawls – We were at the Kashmir’s Pashmina shawls shops, most shawls were sold for USD 20 each but there are more expensive range up to USD 500 and above. I did not get any because there were just too many to choose from and I have no idea how to choose. Saffron Spice – Kashmir is one of the few places in the world that grows saffron. It is one of the most precious spices in the world as not many places can grow saffron. It is so expensive up to few hundred US dollars for a tiny packet because it is very labor-intensive crop. Saffron has a luminous yellow-orange coloring to foods and many believe it’s taste and fragrance is worth the price. Kashmir papier-mache – is a handicraft of Kashmir that was brought by Muslims from Persia in the 15th century. 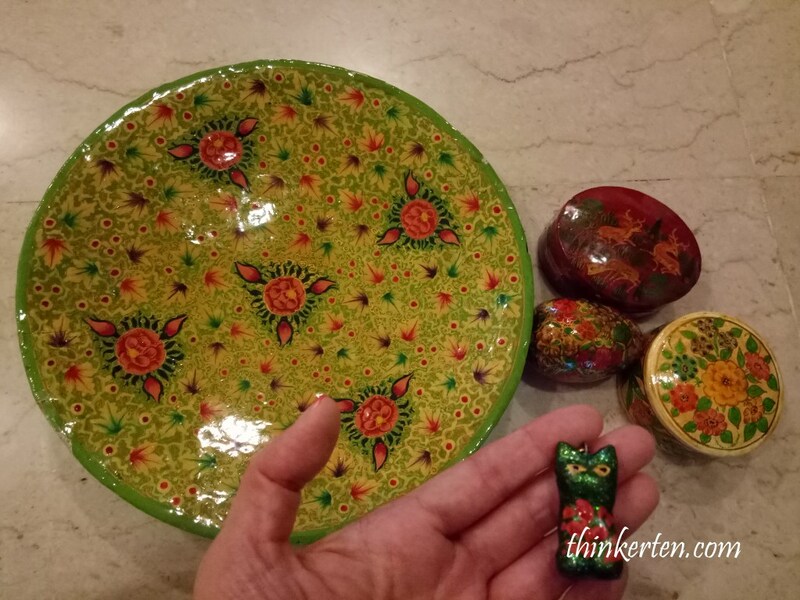 It is based primary on paper pulp, and is beautifully decorated with very colorful pattern, generally in the form of vases, bowls boxes, trays and many other small objects. I bought few jewellery boxes and some key chains as souvenirs. The workshop we went is actually a home near Dal Lake, we travelled by Shikara to the workshop at the late evening, quite scary to ride on the Shikara at night. I was quite worried if I would fell down into the lake because it so dark and cold. Breakfast & Dinner at HouseboatDal LakeEarly rise at the Houseboat to listen to Adhan prayers - Must Try!Facilities in the houseboatFamous 400 years old Chinar Trees in Shalimar GardenHouseboat at Dal LakeKashmir papier-macheKashmir's Pashmina shawlsMughal Gardens Shalimar in Kashmir - UNESCO World Heritage SiteMysterious Dark Shadow in the room!New Delhi -> Kashmir -Air IndiGoSaffron SpiceShikara - wooden boat in Dal LakeThe Marble PavilionTraditional Dress in Kashmir - PhiranWhat to buy in Kashmir? Hi there wow! I’ve always been intrigued by India and your article proves it. It’s amazing! 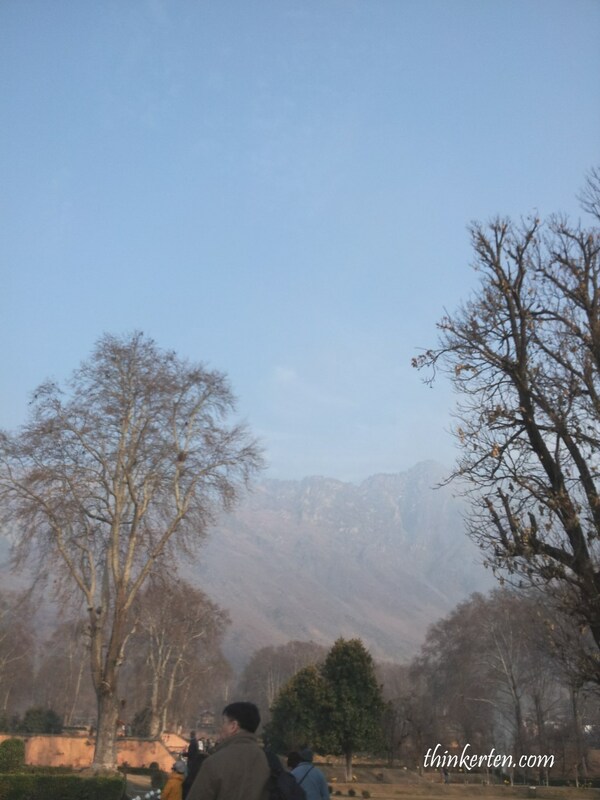 You get to visit Kashmir, the gem in the north!